Susan Phillips’ job can be difficult. 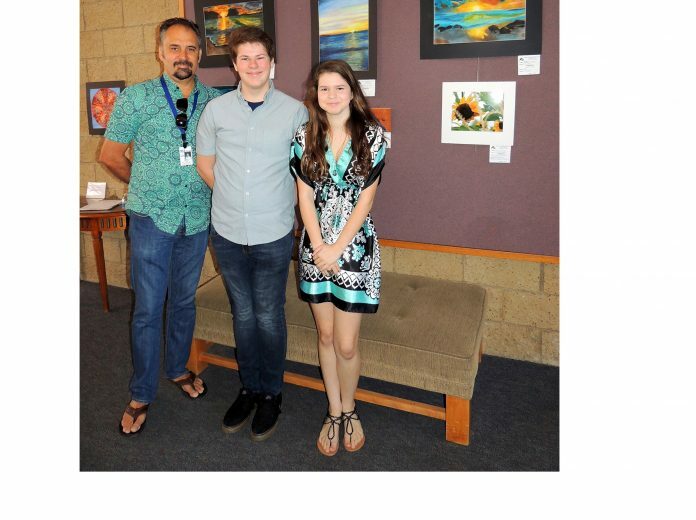 As the teacher liaison between Grossmont Union High School District and Mission Trails Regional Park, she must choose among the hundreds of students’ artwork to exhibit at MTRP. 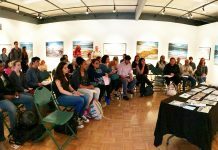 This year, she chose the work of dozens of eight students from each high school for the current exhibit of Natural Views. The art is displayed on the walls of the MTRP Visitor’s Center. The students were honored with a reception on Dec. 12, 2015. One of those students was Moire Welsh, a student of IDEA High School in El Cajon. Her photograph is of some sunflowers she took behind the fence of a building on campus. Welsh learned photography through the Outside the Lens program offered at the school at one of the many tracks of art students can choose from. “I’ve been taking pictures since I was ten years old,” Welsh said. “But the photography program has taught me how to use a real camera, a Canon, with all of the different settings and programs on it. I particularly like to experiment with the manual focus,” she said. Another student of IDEA, Joseph Decunzo, who painted a chalk pastel of a sunset beach scene of Ocean Beach, felt proud to have his work exhibited. Decunzo said that he got the inspiration to experiment more with pastels when he saw the work of a classmate friend. “Last year when I worked with chalk pastels, I wasn’t that impressed with them. But then I saw how easy they are to work with, and the colors are vibrant, easy to lay on the paper and they blend really well,” he said. Decunzo has been dabbling in art since he was in 7th grade when he would draw little cartoon figures in a sketch book. “I want to be a professional artist. That means for me being able to make enough money to live on while building a level of skill to display it with pride. “So for me having my painting here today at the exhibit is an important first step,” said Decunzo, who plans to visit as many art galleries as he can to meet and learn from other artists. In fact, that learning and reaching for a higher skill level is one of the most important aspects of the art program within GUHSD, according to Phillips. The GUHSD district offers courses in Beginning to Advanced Design, Studio Art, Photography, Digital Arts and Jewelry. “Over the years I have had many students pursue a career in the arts. Some of my students are currently studying or working as graphic artist, art instructors, and architects,” she said. Kenda Francis, an art teacher at Steele Canyon High School, explained how the art training helps. “Almost all of the students represented in the MTRP show are beginning students as I don't have an advanced class this term. I think that being chosen for the MTRP show has made them realize that they have skills that set them apart from other students in their class and may encourage them to enroll in future art classes. 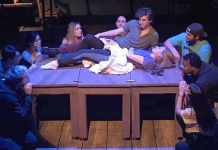 “All of the students represented in the show work very hard to turn in work that is their very best and I wanted them to see the rewards of those efforts,” Francis said. “I feel the strong relationship between the MTRP and the GUHSD district benefits the students by allowing their work to be seen and judged on a truly public forum. 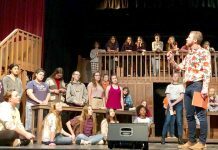 It allows these incredible young artists to see that their voices can be heard beyond the classroom and school setting and that their work is valued by society,” she said. Joseph Killian, a student of Santana High School, was all smiles at the friends and family who showed up to congratulate him and admire his photograph of a bird at Santee Lakes. His mother Donna Killian, said that he was always showing her how to take better pictures. The “Natural Views” exhibit at Mission Trails Regional Park Visitor’s Center Art Gallery will be up through Jan. 1, 2016.